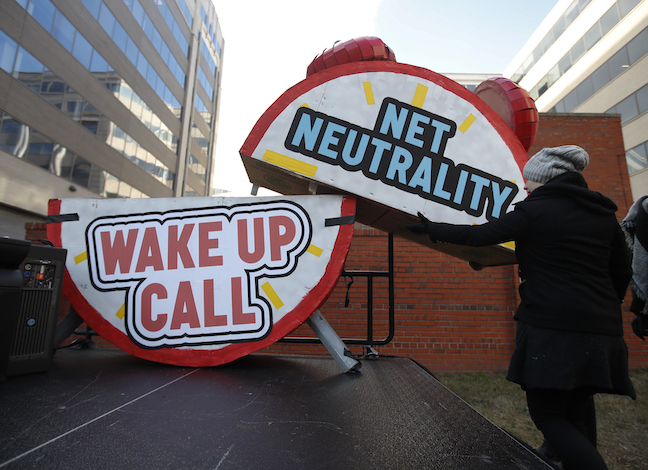 SACRAMENTO, Calif. (CN) – The California Senate on Wednesday approved a statewide net neutrality framework, advancing consumer protections experts claim are more stringent than the recently nixed federal laws. Democrats cleared Senate Bill 822 in a party-line vote, overcoming lobbying from powerful internet providers like AT&T and Verizon. State Sen. Scott Wiener, D-San Francisco, said it’s up to California to replace net neutrality quashed by the Federal Communications Commission this year, and to create even more stringent precautions against providers throttling users and charging for better internet speeds. Wiener’s bill is being closely watched by open internet groups and providers because it’s the first to address a practice known as “zero-rating,” in which providers exempt certain streaming data from customers’ bills. Critics say the practice should be regulated as it gives providers the ability to pick and choose content that won’t count against customers’ data plans. California’s vote comes on the heels of the U.S. Senate’s passage of a resolution to overturn the FCC’s repeal. The resolution is mostly symbolic as the Republican-controlled House is unlikely to take it up for vote. Nonetheless, the committee passed Wiener’s bill on an 8-3 party-line vote. Backers include the Electronic Frontier Foundation, three former FCC commissioners, California Attorney General Xavier Becerra and the mayors of Los Angeles, San Francisco and Sacramento. The measure heads to the Assembly and must be passed by the end of August. This month, New York state Sen. Brad Hoylman, D-Manhattan, introduced a bill that includes the same consumer protections as Wiener’s version. The senators say they will recruit more lawmakers in other states to propose similar legislation.